You can book by phoning 01329 237000 or visiting our travel office in Broadcut, Wallington, Fareham, Hampshire, PO16 8TB or at one of our many agents. We are open weekdays from 9am to 5.30pm and on Saturdays between 9am and 12:30pm. You can also book on our website. All excursions are subject to availability. Your booking confirmation, which acts as your travel ticket, will confirm the exact departure time from your requested pick-up point, unless you are joining our feeder service, when we will confirm exact pick-up times 5 days prior to the date of travel. All passengers are requested to be at their chosen pick-up point at least 5 minutes before the scheduled departure time. The Company will not be held responsible for the late arrival of passengers or passengers not being at the correct pick-up point. No refund will be made for passengers arriving after the scheduled departure time nor shall the company be held responsible for the late arrival of coaches due to circumstances beyond our control (i.e. traffic & weather conditions). 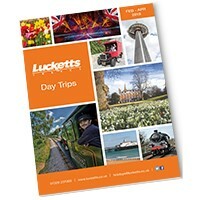 Timings shown in our day excursion brochure/leaflet are merely as a guide. To reduce coach pick-up times to a minimum, a feeder vehicle may be used and passengers transferred to meet the excursion coach at one of the main pick-up points. The feeder vehicle may be a coach, minibus or taxi. 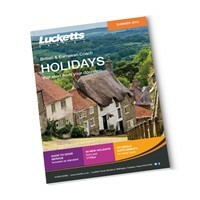 Lucketts Travel Limited cannot guarantee that the coach stated will be supplied. (This will only be in exceptional circumstances). 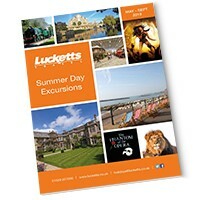 Complaints should be made in writing within 7 days of the excursion to our Head Office, Lucketts Travel Ltd, Broadcut, Wallington, Fareham, Hampshire, PO16 8TB. For bookings for concerts in partnership with Wave 105, all bookings are non-refundable, however the £5 admin charge per person is applicable should you wish to change the name of the passenger(s). 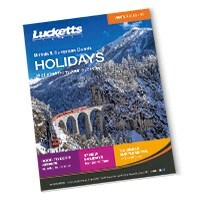 Lucketts Travel cannot accept any responsibilty for any disruption prior to / during or after an event, arising out of matters of which we have no control, e.g. war, threat of war, riot, fire, flood, bad weather, industrial dispute, Acts of Terrorism or government action. We always allow plenty of time for the journey to a concert or event. In the unlikely event of a coach failing to arrive at the venue, or arriving after the show or performance has begun, Lucketts Travel accepts no responsibility for any such failure caused by accident, mechanical breakdown, bad weather, traffic or external forces outside of our control. No travel costs will be refunded once a journey has commenced. 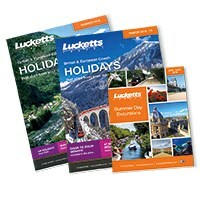 Lucketts Travel Ltd will not accept liability for any damage to personal property howsoever caused. Please note some of our day excursions may be shared with our sister companies Worthing Coaches Ltd and Coliseum Coaches Ltd.